100% free teaching materials–lesson plans, worksheets, handouts, games–everything you can imagine and then some. Everything on this site is instantly accessible and useable. Studenthandouts.com has materials for every major subject, with a primary focus on secondary education (junior and senior high school, grades 7 through 12). Look here for thousands of free printable materials for teachers and homeschoolers, including math worksheets, spelling lists, reading comprehension passages, math games, flashcards, and science activities. Teacher Created Resources offers a treasure chest of free lessons, activities, calendars, brain teasers, teaching tips, daily quotes, and much more! Find teachers guides, Accelerated Readers lists, planning calendars, Classroom Clubs, and more. TeachersFirst is a rich collection of lessons, units, and web resources designed to save teachers time by delivering just what they need in a practical, user-friendly, and ad-free format. They offer their own professional and classroom-ready content along with thousands of reviewed web resources. Busy teachers, parents, and students can find resources using our subject/grade level search, keyword search, or extensive menus. TeachersPayTeachers offers 130,000 free and priced teacher-created materials for download including lesson plans, unit plans, novel studies, worksheets, printables, PowerPoint Presentations, quizzes, exams, workbooks, projects and more. Buy and sell used classroom resources. Ebooks from major publishers now available. There are over 16,000 free items and over 67,000 items under $3. You can search by grade, price, and subject. TeacherVision.com features tools and resources that save educators time and make learning fun for students in grades Pre-K--12. Resources include a vast online library of lesson plans, graphic organizers, printables, classroom management advice, and more to help teachers manage their teaching lives and classrooms with ease. HomeschoolingResourceCenter.org provides a sort of “clearing-house” of information for getting started, choosing curriculum, organizing your homeschooling, learning styles, record-keeping, planning, and practical teaching tips. You will need become a "member" in order to access most of the information offered on this site. The Learning Network provides teaching and learning materials and ideas based on New York Times content. Parents can use or adapt their lessons across subject areas and levels. Students can respond to Opinion questions, take News Quizzes, learn the Word of the Day, try Test Yourself questions, complete a Fill-In or read our Poetry Pairings. Kids Can Press offers a Resource Room--a user-friendly online library of free educational resources to help make teaching more enjoyable and learning more fun. Editor's Note: Requires you apply for a free membership. Find completely free worksheet generators to make customized crossword puzzles, word searches, money worksheets, brain teasers and more. The Teacher's Corner has also put together a great collection of lesson plans in all subject areas and for a variety of grades. 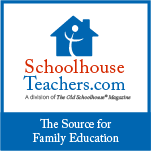 TheHomeSchoolMom is home to quality, hand-picked resources including homeschooling lesson plans, unit studies, software, webquests, websites and more. You will also find support groups, classes, conventions, and other local resources. They have thousands of hand-picked homeschool lesson plans and activities as well as articles, planners, freebies and more for homeschool moms. You HAVE to check out this website! Thinkfinity offers comprehensive teaching and learning resources created by nine of the most respected organizations in each academic subject and literacy. There are educational resources and activities for teachers, parents and students for grades K-12. Easily filter through thousands of free lesson plans in Math, Social Studies, Art, Language Arts, Music, Physical Education, Reading, Writing, Geography, Science, and Thematic units. This awesome resource has over 7,000 websites created by students around the world who have participated in a ThinkQuest Competition. A must see! Free tools for teaching: worksheets, worksheet templates, printables and on-line teaching materials makers that allow you to generate your own free worksheets and games. This website is a fabulous resource that contains thousands of external links to free educational games. Organized by subject. As a source of information, World Book offers the results of ongoing research into curriculum requirements and standards. The learning levels include preschool through grade 12. Naturally, there are regional and local variations that cannot be accounted for in every detail. But the typical course of study reflects general curriculum requirements across North America. The information is categorized by grade level and general skill type or discipline.